Weekly Update 2018-48: Pop-rock from Vancouver's The Zolas, an innovation in Fitbit technology and the wild, wild world of manhole covers. not that the rose or the rain weren't already a dead giveaway. Formed in Vancouver in 2009, The Zolas brought their alternative pop-rock sound to the Danforth Music Hall last Thursday. I honestly didn't know any of their songs before seeing them, and I still thought they did a great job filling such a big stage. It will come as no surprise to anyone that Bunz continues to be my favourite thing, ever. 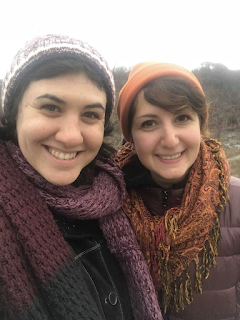 Last week I entered a contest to win concert tickets and won! So I got to see one of my favourite bands Yukon Blonde at Danforth Music Hall with one of my favourite concert buddies: my dad. The Zolas (mentioned above) deserve a shoutout for opening the show, as well as collaborating with Yukon Blonde on a cover of The Traveling Wilburys' Handle With Care. I really can't believe how much I turned my luck around - we almost got THE monthly top score on the escape room my sister chose for her birthday. In any case we were among the 4.8% of people who have successfully escaped from that room, which if true, is HUGE. As promised, we rewarded ourselves with Korean BBQ afterward. It's been so long since I've had it, and I ended up doing a lot of the cooking because it's so much fun. I had a nice chat this morning with Alec Levin from UX Research Collective about his processes and the way he got into his profession. It really made me wish we had a UX researcher at my day job who could help out with the fact-finding. This Thursday marks the final BrainStation class of the semester - I can't believe how fast it's all gone by. I am honestly so proud of my students and so excited to see their final projects. My friends Laura and Eric are taking their band on tour to Montreal this weekend, and entrusting me with the care of their super-cute dog Theo. I went to visit him yesterday and this afternoon so he could get a bit used to me before we get nice and friendly on the weekend. Theo is used to sleeping in bed with his humans, so if we're going to cuddle, he'll have to get to know me a bit first. I started to wonder about what I'd do with all the time spent in my friends' place this weekend, so I realized I could use it to get some good chunks of work done. I've got a Meal Prep kit being delivered on Friday, Sasha visiting on Saturday, some postcards to write, some Bunz trades to make, and some Theo to love. It'll be a full weekend of awesomeness, I think. I did a lot of walking the other day, only to greet myself at the end of it with a sense of dismay: I hadn't had my phone on me while walking, so none of the steps counted. I know their health benefits are not discounted, but at the same time I feel cheated out of something...maybe a couple Scene points from the Carrot app and a visual sense of accomplishment. The answer to this problem for most people is their Fitbit, which you put on in the morning like a watch and never worry about not counting steps. Sounds simple enough, except I absolutely detest wearing anything on my wrists and love to push up my sleeves while I work. And now I have another device to charge? No way, that's not gonna fly either. What alternative is there for people like me? May I introduce, the random thought of 2018-48: the Fitbit Implant. You get a tiny Fitbit device implanted into your tooth like a filling (or maybe while you're having a cavity filled - 2 for 1! ), and you never have to worry about taking it out. It charges itself from the power of your chewing and transmits information right to your phone. Yes, I know it's genius. Patent pending. If you're anything like me, you look mostly at the ground as you walk down the street. I just find there is the most interesting stuff to see on the ground, it really tells a story about a city (hopefully a good one). The ground is nice to look at when you're minding your own business as you walk. One of the truly overlooked and underrated things to see are manhole covers. When I'm not swerving on my bike to avoid them or the eroded, uneven pavement around them, I do admire their patterns and typography. Plus, it's a design to last through the ages: they may wear down a little over time but mostly retain their design and rough-hewn metal texture. Manhole covers are also intriguing because they separate us, the aboveground, from...well, the upside down, as Stranger Things would put it. It's a welcome barrier in my life, separating me from the icky stuff that lives beneath the surface. Since manhole covers tend to steam in the winter months, this clever ad comes to my mind when I cross over a steamy one. I think it came out in 2006, and I'm still thinking about it 12 years later. I don't drink Folgers Coffee but this is very memorable. 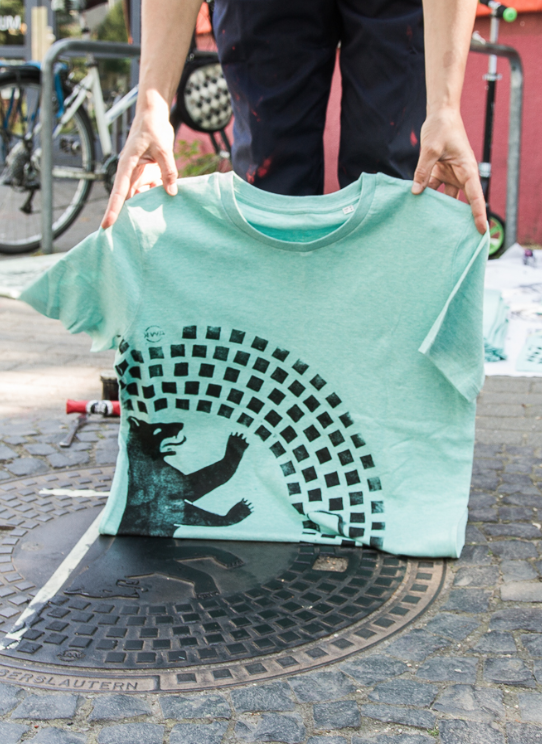 A Berlin-based art collective by the name of Raubdruckerin has been using manhole covers (and other textured architectural forms) as stencils for screenprinting designs onto some very unique shirts and bags. They explain on their website that they clean up the paint afterwards and don't leave anything behind on public property. 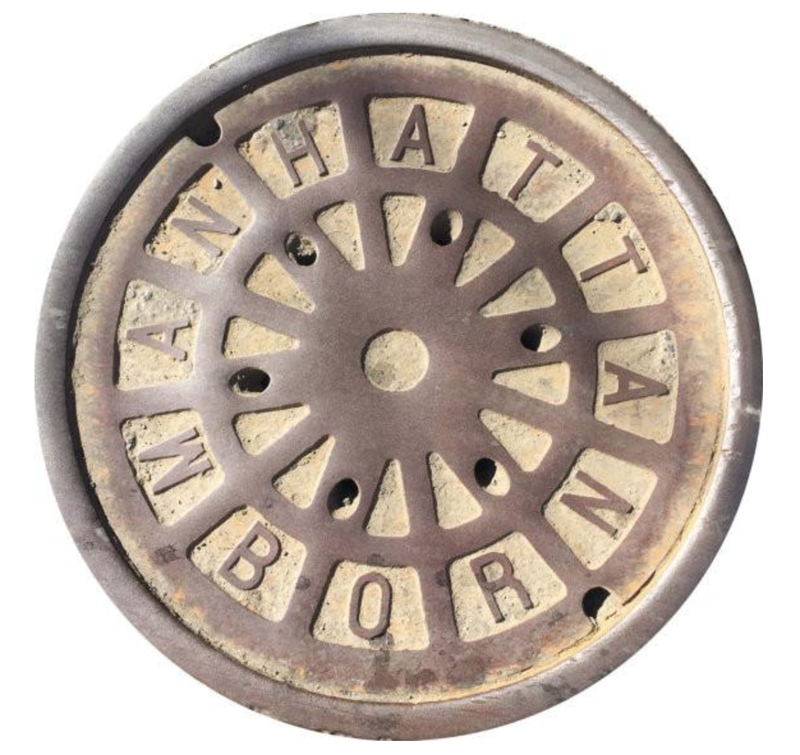 Last time I went to New York, my parents and I found Vernakular, a really cool vendor in Chelsea Market - selling photographs of manhole covers (from all over the world) as floormats. I am proud to say my father has good taste and bought one for their home (Manhattan) and one for me (Portland). It's a super cool statement piece and doesn't show dirt (added bonus). I love that Portland's version looks wet - because it was probably raining that day! You can see what I think is the photographer's shadow at the bottom. While I do love the above designs, they really can't hold a candle to some of the designs in Japan, and really all over the world. 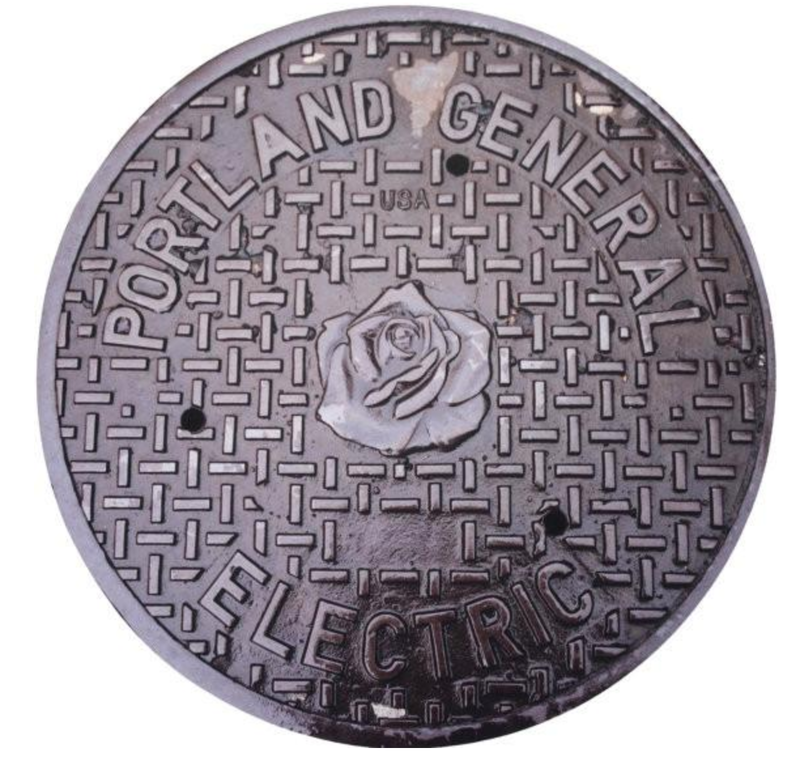 Instagram's World of Manholes is an homage to these wondrous things, and deserves a follow for sure. Manholes can be seen as a necessary device in our society, perhaps some of us don't think about them at all. But they weren't always just "there", someone had to design them. If so, why not design them beautifully? 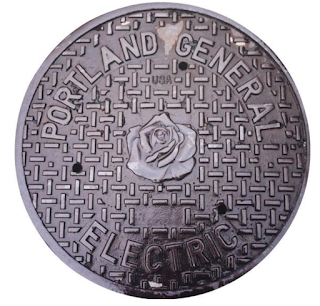 These manhole cover designs represent the beautification and reinvigoration of something mundane, and it makes me happy.